Preheat oven to 400°F. 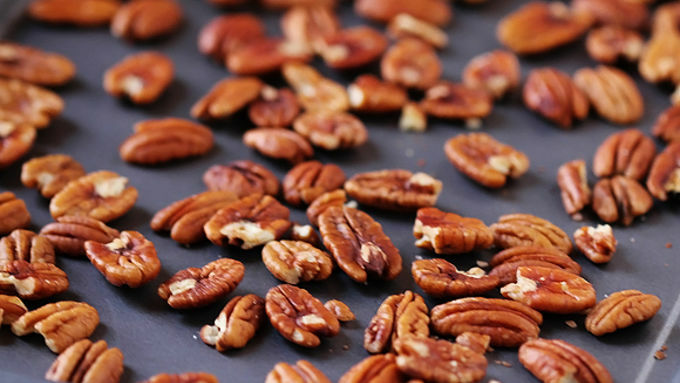 Spread out pecans in an even layer on a baking sheet. Toast for about 5-7 minutes until fragrant. Remove from oven. 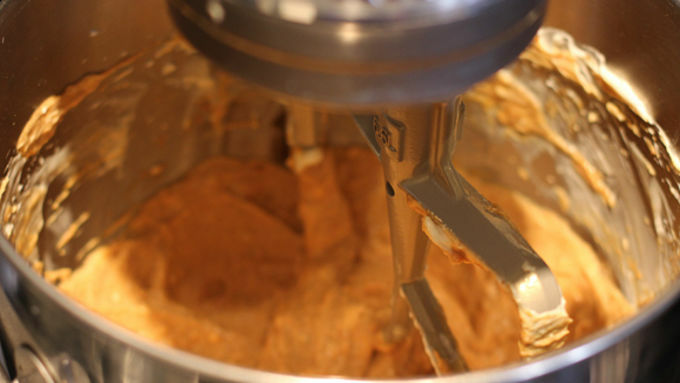 Fold in 2 cups of the whipped cream by hand, combining until smooth. Then use a pastry bag or a spoon to portion the filling evenly into your serving dishes. Top with the remaining whipped cream, and if desired, your reserved pecans. 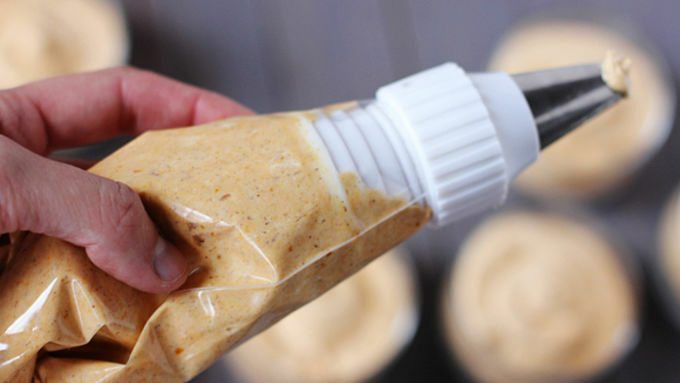 Serve immediately, or refrigerate up to 2 hours. 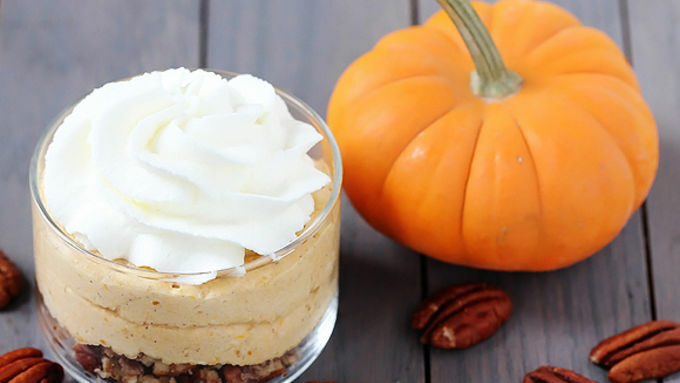 Delightful little pumpkin cheesecakes with a salted pecan crust…delish! Who loves cheesecake? Pumpkin pie?? Pecan pie??? 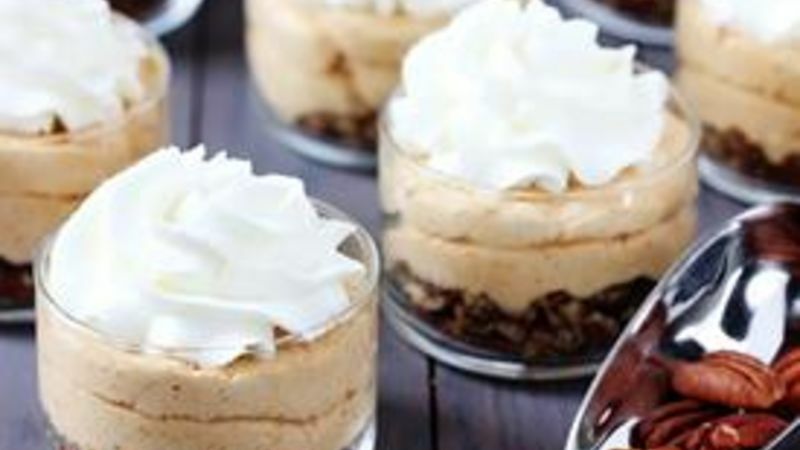 Well if you raised your hand to any of those, I’m pretty sure you are going to love these cute little No-Bake Salted Pecan Pumpkin Cheesecakes! 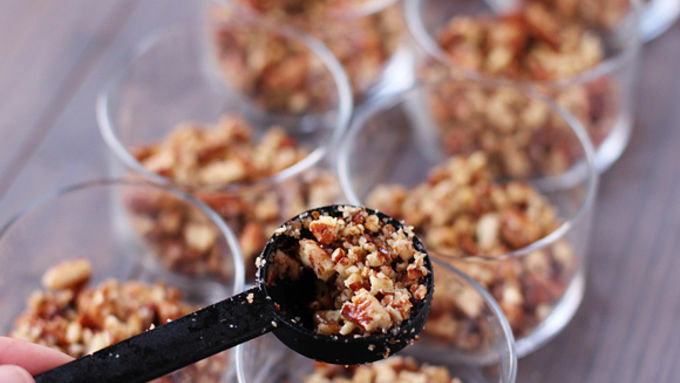 These delightful little desserts are made with a buttery salted pecan crust. Then topped with a spiced pumpkin cream-cheese filling. And then of course, topped with a little whipped cream…just because. But the best part is that there is no baking required! Just whip everything together and press it into your favorite serving dishes (glass pots, ramekins, or even make one big pie), and you’re good to go in less than 30 minutes. My friends adored these! Garnish on top with a pecan, or just serve as is. You’re going to love these! So cute, quick and easy…and delish! More Mini Desserts Love desserts served individually portioned? Then try some more!